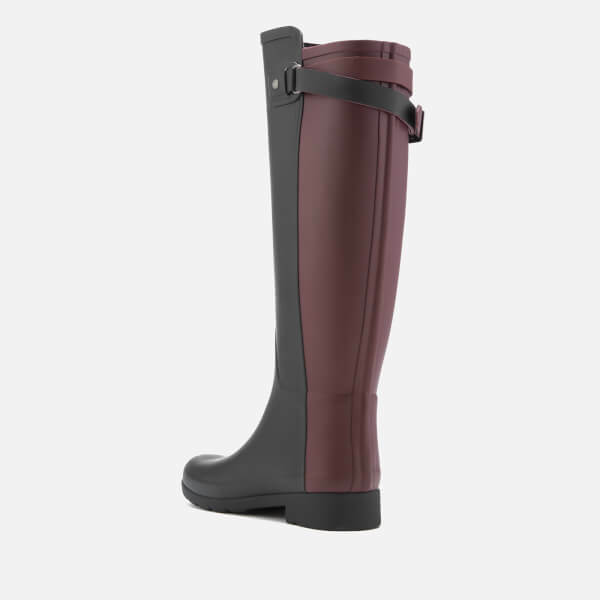 Women's tall Hunter wellies with colour block design and matte finish. 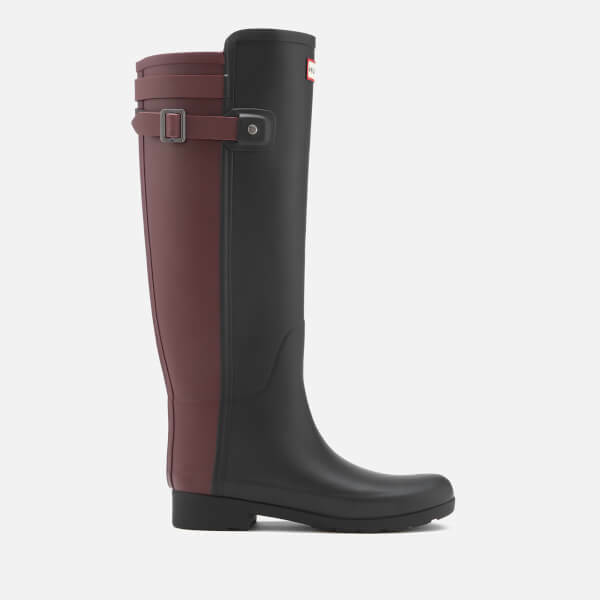 A new interpretation of the 'Original' boots, the 'Refined Back Strap' wellington boots are handcrafted from thinner, waterproof rubber and cut to a slim fit for a more tailored silhouette. Classic details have been re-imagined; the toe is less round with repositioned moustache detail to create a clean design, and the top front has been extended. Set upon a moulded sole and footbed for enhanced comfort and support. Adjustable back strap allows for a customised fit. 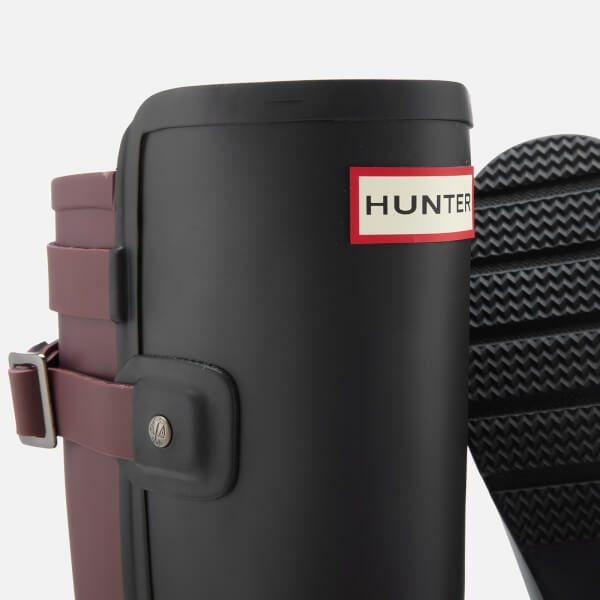 Iconic Hunter badge completes the design with a stamp of authenticity.